This Neoprene Cuff Urethane Cord Wrist leash was specifically designed by Liquid Eye to tether your favorite water housing very securely to your wrist with a maximum confort. It will keep it safe even in the most critical surf conditions. It tethers to our pistol grip at the lower end to a special ring dedicated for this purpose. 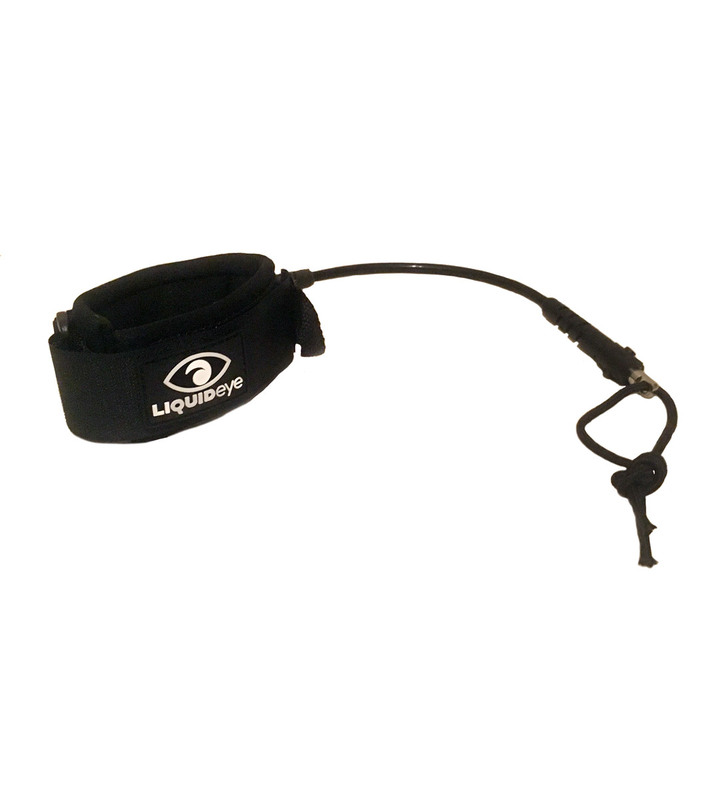 This Neoprene Cuff Urethane Cord Wrist Leash is specially developed by Liquid Eye. It is designed to use across all our products range. It tethers to our pistol grip at the lower end with a 4mm nylon rope. This leash made out of extra strong 5.5mm urethane cord is 30 cm (12 inches) long. A stainless steel swivel at each end protects the cord from any cord twist. The Neoprene Cuff is made out a double layer of 4mm neoprene rubber. it is 5 cm (2 “) wide. This special feature makes this cuff very comfortable to wear. The Velcro grip is designed with a buckle system. It allows a very easy installation on your wrist. You will only need one hand to wear it on your wrist. It is fully adjustable with a great ease. This very unique leash is the ideal companion to secure your favorite water housing. it will keep it tethered to your wrist even in the heaviest surf. Special note : As all of our models are already equipped with a standard wrist leash, this model is only available if purchased separately. It cannot be included (or traded for) in a water housing pack.